The LCX Terminal is a sophisticated trading desk for crypto assets: portfolio management, analytics platform, auto trading functionality and audit reporting — integration of major exchanges. It addresses the multiple needs of institutional investors. The LCX Terminal integrates the APIs of major exchanges into a single trading desk. This makes it possible to interface with multiple liquidity pools to minimize spread and slippage. 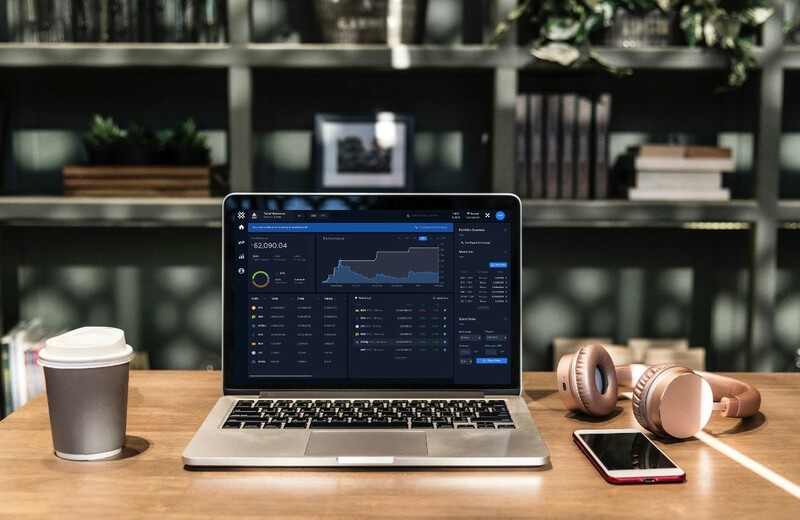 It serves as a professional portfolio management system where watch lists and trading views can be customized, and positions and assets across wallets, exchanges, and the LCX Vault can be checked and accessed in real-time. Users of Binance LCX will be able to exchange fiat to crypto, trade on Binance.com and LCX Exchange all at one interface. The LCX Terminal also provides institutions with industry-grade record keeping of transaction history and cost basis information for tax reporting and general auditing. Tools for deep analytics, such as for determining rate of ROI, among others, are natively incorporated, and comprehensive reports can be automatically generated with the touch of a button. Institutions can export market data, financial records, and reports for research or regulatory purposes. The Terminal also offers advanced features like complex order types, smart algorithms, and programmable automated trading. The LCX Terminal aims to be the one trading desk that serves all the cryptoasset investment and trading needs of financial institutions.